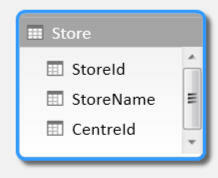 This should be a simple exercise: just create a pivot table showing the number of stores in each region! What could possibly be difficult about that? Well, unfortunately the gods of misfortune have blown on our tables, and scattered them into four different types of data source: a linked Excel table, an imported Excel workbook, an Access database and a Word document. Now rename your table in the PowerPivot data model. Looking at these tables, you can't tell they come from completely different formats. 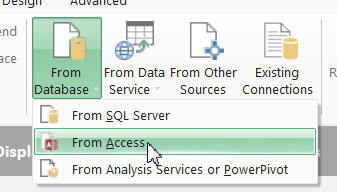 Use this option in PowerPivot to import the required table. You don't need to type in a user name or password. Scroll down to the bottom to find Excel! The field list in Excel, with unnecessary tables and columns hidden. The number of stores for each region. Save this as Counting stores, and then have a think about how you could use this amazing tool back in your office!